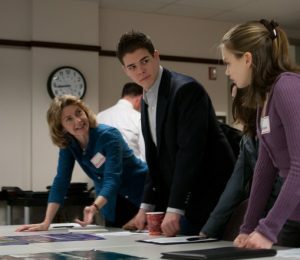 The Loudoun County Design Cabinet is recruiting up to 14 Loudoun high school juniors and seniors for the student panel of the 15th annual Signatures of Loudoun Design Excellence Program. Selected students will review and discuss all award nominations with the Design Cabinet (professionals in architecture, engineering and planning) and choose the Students’ Choice Award, recognizing design excellence in Loudoun County. Participation involves reviewing a confidential award nomination packet and attending the awards selection meeting. Students are able to meet and ask questions of the cabinet members and other Loudoun students. Participants are also invited to attend the awards presentation and reception in the spring. The 2019 student application period has ended.